Hello, I took a break yesterday as it was a crazy day. Pravan's pre-school teacher visited for a while and I made her a slide show synced to music for her students graduation which was this morning. Mrs Howard has been a school teacher for about 26 years and I absolutely love her and respect her. She is a sweet sweet woman and we need more teachers like her. 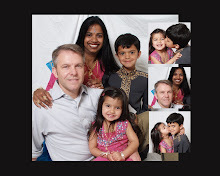 I hope she will not be retiring before Priyasha goes to kindergarten.I am working on a slide show for Pravan's graduation as well which is on Monday.My husband and I are so proud of him I love this program that I use. Although it cost a small fortune it was worthwhile. I make slide shows for people that need one for gifts, graduations etc. If you need my services please e-mail me at esplandry@sbcglobal.net This morning I had a wonderful time visiting with kristen and her new baby and Kaitlyn. The girls played together well for the most part.When the clock struck 11 it was time to get ready to pick Pravan up from school. It was sunny and beautiful out so we took the time to play in the front yard. The kids had a blast blowing bubbles. It is amazing what magic, joy and laughter bubbles can bring to a child. Last night I watched Super Nanny and felt bad for the mom. The nanny said she spent too much time cleaning and too little time having quality time with her kids. It is reality that we moms play too many roles doing too may things everyday. A huge part being cleaning. I decided today that I did not want to be a mom that cleaned too much. I am guily of that.Twenty years from now reading and making memories is what will matter the most.Take some time today and make a memory or start a tradition that the yours will remember when they are all grown up. You will be glad you did. I DVR'd (recorded )ET the other day. The second half anyway.When Pravan gets up from his nap I will let him watch it. Do you know he is only five and he has a hard time watching anything without having to fast forward through the advertisements. Well what happened to VCR ? We have moved on to DVR.Gone are the days of disappointments when we missed a show. Today you can download it from the Internet. I remember cassette tapes and now CD's but not for long as ipods will be more popular.I am not too old so if you remember other things that have been replaced please leave a comment. How cool is technology today. Just imagine what it will be capable of when or kids have kids and grand kids of their own. I am not sure if I will lie to tell the tale but today, right now I am happy with what we have achieved and I totally embrace technology. I am impatient and yell at the pc quiet ink I am a bit but I love it. My husband seems to think I am having an affair with the pc as I spend more time in front of the pc than I do with him.Well what's a girl to do ? A day without my pc is like a cloudy sky without any sunshine. I will post some pics of the kids in awhile. Tonight I am off to Atelier to do a stamping class. I am looking forward to it. www.scrapbookatelier.com Check it out. They offer many classes as well. I teach a few classes there and I love taking the stamp class as well as the zutter classes. I will post some pictures from the class tomorrow. Remember to do one quality activity with your kids today. They seem to grow up too fast. Just yesterday I was doing the laundry and noticed the tags on my kids clothes. One was size 5/6 and the other was 3/4 or 2/3. What happened to 6 months and 12 months. It seems like yesterday that they were both smaller. So no regrets ,just love hugs and lots of happy times. Free Spirit !